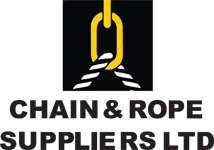 Chain and Rope Suppliers is the appointed Irish agent for the Donati range of electrical hoisting equipment. 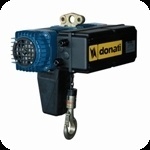 Donati is an Italian manufactured product range with an outstanding range of 110v electric hoists, 220v electric hoists and 3 phase electric hoists. 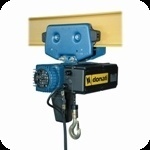 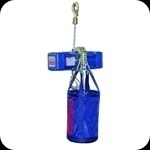 Donati offers both chain hoists and wire rope hoists. 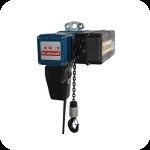 Chain and Rope Suppliers also stock a full range of spare parts for Donati hoists and have several fully trained technicians available to maintain test and repair Donati equipment. 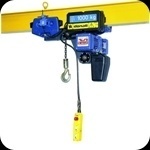 Chain and Rope Suppliers also have a hire fleet of electric hoists including chain hoists and scaffold hoists. 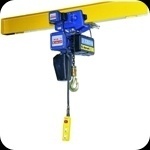 On occasion we have used electric hoists for sale also.